Coloradans love to spend time outside at all times of the year, from rafting rivers in the summer to skiing the slopes in the winter. That passion for the outdoors extends to time at home, which is why Artisan Outdoor Kitchens has found so many clients in Boulder, Louisville, and beyond. The idea of building a custom outdoor kitchen in a region where the temperatures drop below freezing and storms can drop feet of snow may seem daunting, but with the right design elements and adjustments, everyone can enjoy an outdoor living space. Whether you’re looking for materials and solutions to make sure your outdoor kitchen can survive ice and snow, or you want an innovative design that you can use year-round regardless of the weather, Artisan Outdoor Kitchens is here to help. Our design team works with you to bring your dream kitchen to life, utilizing years of experience and the best materials on the market. Read on for cold climate outdoor kitchen ideas, and contact Artisan Outdoor Kitchens today to schedule your personalized consultation! If your priority is to simply make your outdoor living space more comfortable in chilly temperatures, then adding heating elements can be the perfect solution. Heat lamps and fire pits won’t be able to melt layers of snowfall, but they can help keep you and your guests comfortable on milder nights throughout every season. For ideas on how to warm up your space, check out our blog on different heating options! We discussed ways to add shade to your outdoor kitchen in a previous post, and awnings and pergolas can offer some shelter from the elements. However, if you want to use your outdoor living space most days out of the year, then you may want to implement a full roof. Keeping your outdoor kitchen protected from rain, snow, and other harsh weather conditions can make it an enjoyable place to spend time year-round. The team here at Artisan Outdoor Kitchens will work with you to determine the best way to shelter your space during the design process and offer personalized solutions, whether you are working with an existing porch or extending your patio and roof. 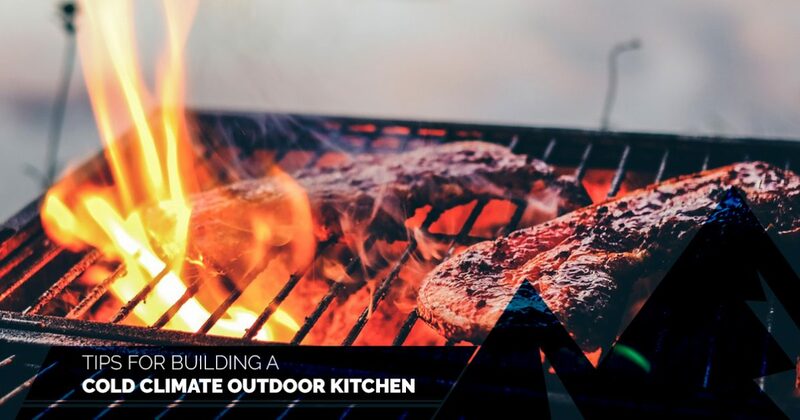 If you prefer to leave your outdoor kitchen exposed to the elements, then you need to make informed choices about the materials used in its construction. You will need to plan ahead for rain, snow, and ice, and all the problems that come with precipitation, like puddles, discoloration, and potential flooding of your appliances. Artisan Outdoor Kitchens utilizes powder-coated stainless steel to offer you style and durability. Powder coating not only provides a number of color and finish options, but it also protects the steel from direct exposure to the environment. Stainless steel itself is much more durable than other metal varieties, and it won’t warp like wood. It also has a high resistance to use and abuse, from cooking to winter storms, so it can withstand all kinds of climates. 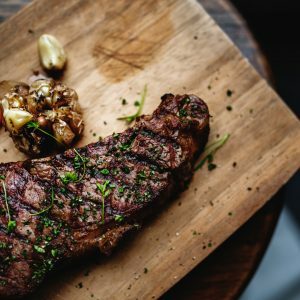 There are many factors you need to consider when building an outdoor kitchen in a state that experiences all four seasons, and no team is better suited to helping you through the process than Artisan Outdoor Kitchens. With years of experience, high-quality materials, and a dedication to customer satisfaction, we will work with you every step of the way to make sure you get the outdoor living space you’ve always wanted. We encourage you to explore our blog for more outdoor kitchen ideas, scroll through our gallery for inspiration, and then call us to schedule your personal consultation. We look forward to working with you!